Weston & West Fork Railroad, formed on March 4, 1875, attempted to construct 24.9 miles of track between Clarksburg and Weston. 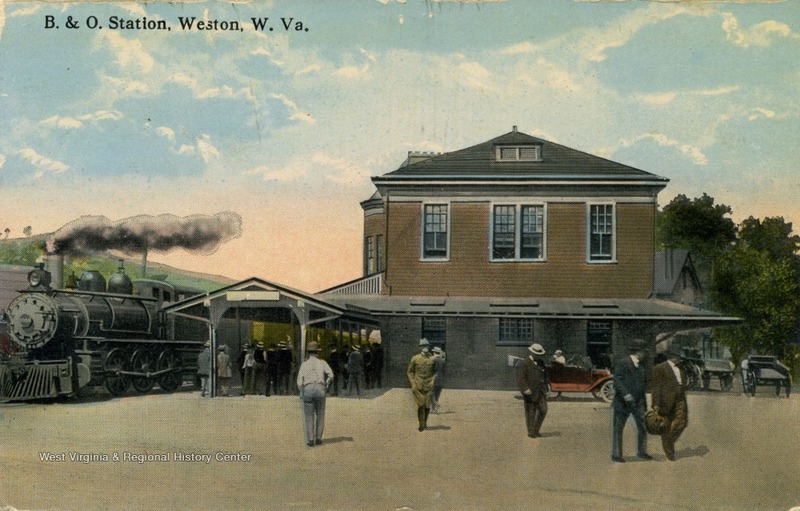 Clarksburg, Weston & Glenville Railroad, incorporated on August 6, 1878, finished the work of the Weston & West Fork. By September 1879, 24.9 miles of narrow-gauge track was open between Clarksburg and Weston. Buckhannon & West Fork Railroad, incorporated on April 10, 1882, built 15.8 miles of narrow-gauge track from Weston to Buckhannon. Buckhannon River Lumber Company, incorporated on October 15, 1885, constructed 13.3 miles of narrow-gauge line from Buckhannon to Indian Camp Run (Calico Run) in 1886. Weston & Elk River Railroad, formed on February 20, 1889, attempted to build a line from Weston south towards Charleston via the Elk River. No line was built. The WV&P fell into receivership in 1898 and on June 1, the WV&P was acquired by Johnson N. Camden and Clarence Cary. The railroad’s projected southern terminus was then modified to be the mouth of the Williams River near present-day Cowen, in Webster County, to extract the area’s virgin timber forests. Further north, Weston developed as the center of several glass manufacturing plants. 14 The companies were initially drawn to the region because of the availability and affordability of natural gas, which made glass production competitive. 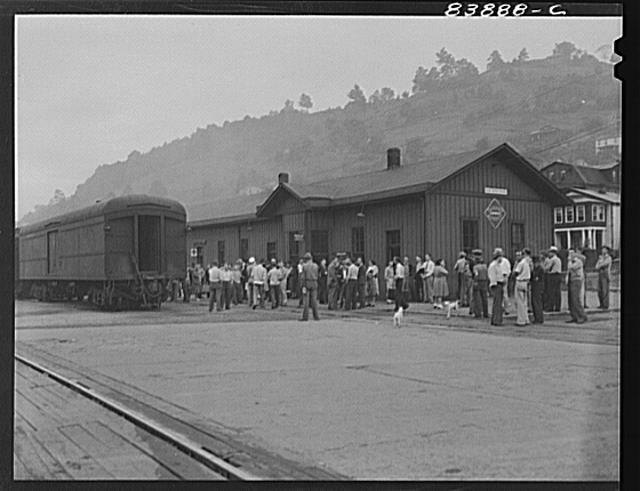 The freight depot at Lost Creek became the largest shipping point for cattle on the entire B&O in the state. 12 By 1923, it became the largest cattle shipping point east of the Mississippi River with 275 cars needed to carry between 4,000 to 5,000 cattle. 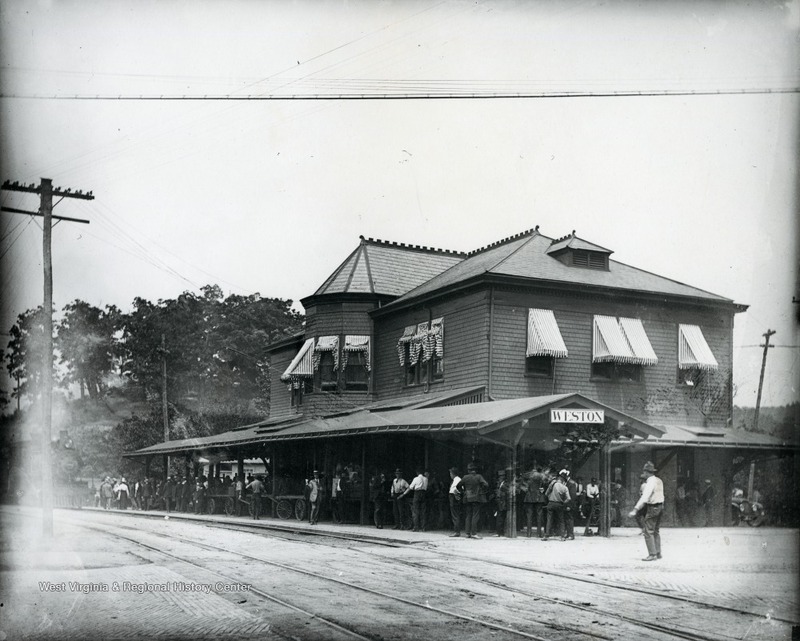 The depot had been built in 1892 by the WV&P and served unbroken blocks of grazing lands for cattle controlled by the Goff, Gore, Haymond, Lowndes, Lucas, Maxwell, and Reynolds families. By the 1930s, the county had become one of the biggest beef cattle producing regions in the eastern United States. 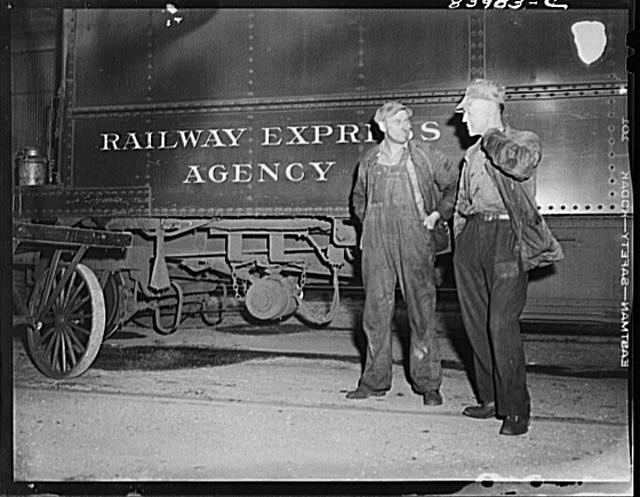 The C&O took financial control of the B&O in 1963. 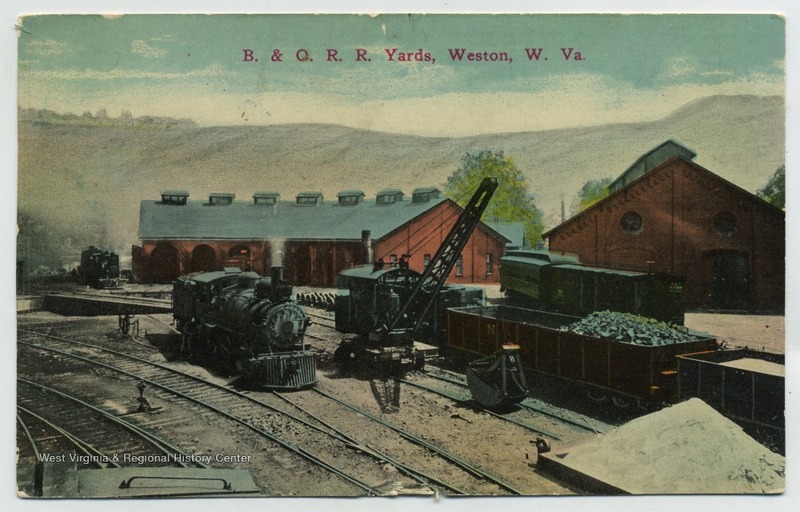 2 The B&O at that point already had a controlling interest in the Western Maryland Railway (WM). In 1973, the three railroads were brought together under one identity, the Chessie System. The WM was formally merged into the B&O in 1976. In 1980, the Chessie and the Seaboard Coast Line, which controlled the Louisville & Nashville, the Clinchfield, and Georgia railroads, merged to form the CSX Corporation. 2 Despite the consolidation, CSX never had its own identity until 1986, when all of the merged entities was renamed CSX Transportation (CSX). After the coal mines around Richwood never reopened, CSX abandoned the Richwood Branch between Cowen and Richwood in 1990. 9 The Cranberry Tri-Rivers Rail-Trail committee purchased the right-of-way for $189,000 after securing a $69,000 grant from the Georgia-Pacific Company, which operated a large mill in Richwood. The company retained the rights to operate the trail as a logging haul road during the off-season to move cut timbers into Richwood. 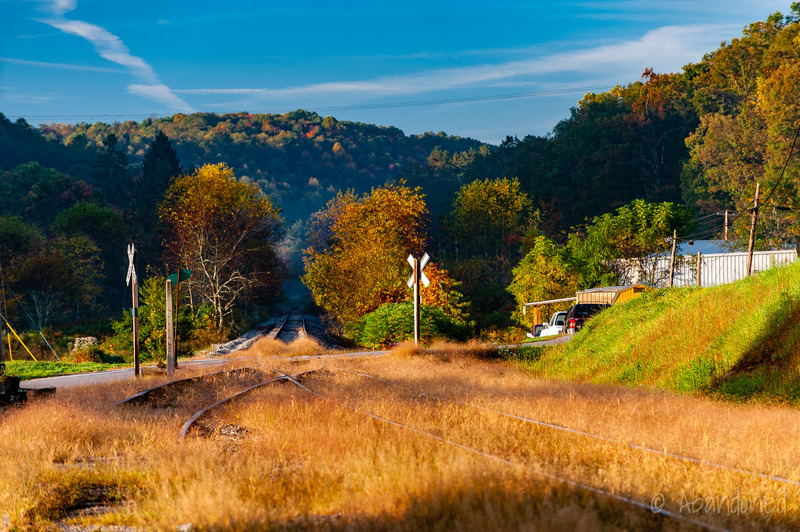 In September 1998, the state dedicated the new six-mile Cranberry Tri-Rivers Rail-Trail, which followed the Cherry and Gauley Rivers between Richwood and Enoch Branch near Allingdale. 9 The multi-use path included a long trestle over the Cranberry River and the 640-foot Sarah’s Tunnel. 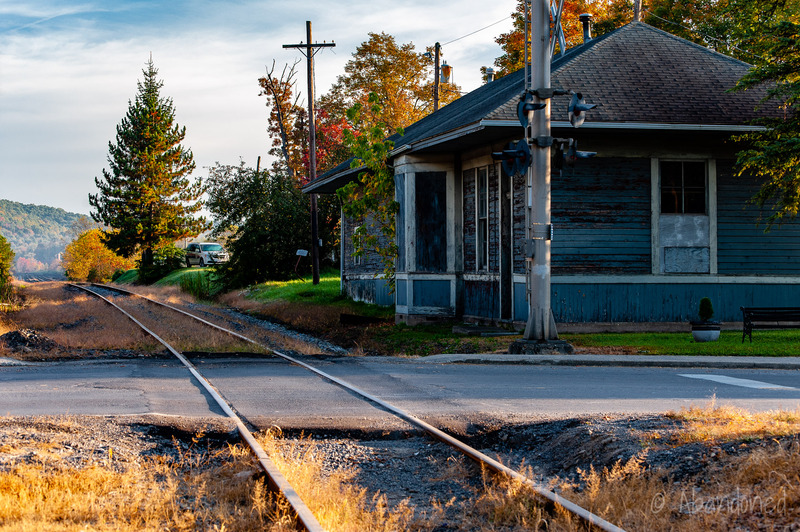 The trail is planned to extend from Enoch Branch to Cowen along the abandoned branch’s mainline and from Bolair to Cowen on a former spur to a coal mine. The remaining active portions of the B&O Richwood Branch became the CSX Cowen Subdivision, which extended south from Grafton to Philippi, Buckhannon, Burnsville, and Cohen. A 2003 system map from CSX of its routes in northern West Virginia. On March 25, 2005, the Appalachian & Ohio Railroad (A&O), a part of Watco Companies, took over operations of the former Cowen Subdivision. 1 (The sale also included the former Pickens Subdivision, from Hampton Junction to Alexander.) 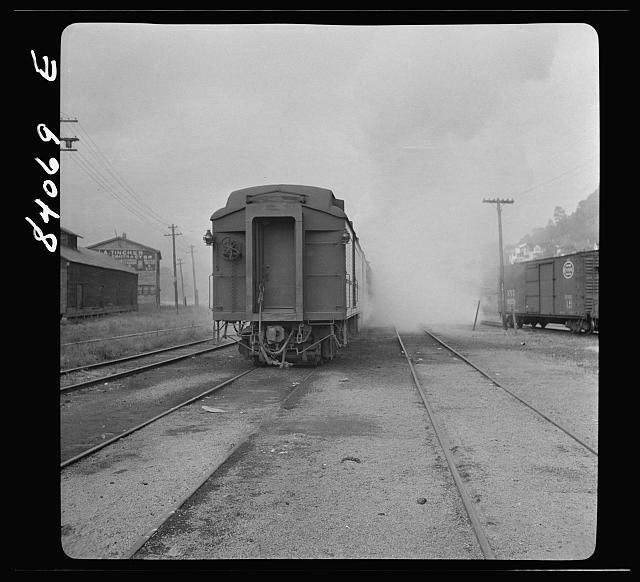 The A&O had connections to the WVC at Tygart Junction, the BEEM at Alexander, and the Elk River Railroad at Burnsville. 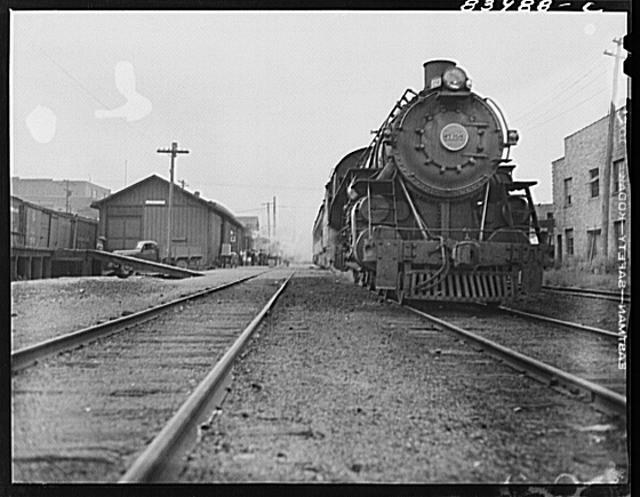 The A&O was expected to move 90,000 carloads in the first year, 1 with coal comprising 95% of the route’s traffic. Coal was expected to be shipped from the mines to power plants in the North and Mid-Atlantic states. The A&O held onto the line for just a short time before turning it over to Four Rivers Transportation, now P&L Transportation, on May 15, 2006. 3 P&L Transportation is jointly owned by the P&L Railway and CSX. A view of the former freight station in Cohen. A view of the former Cohen Train Station in the early morning. The tracks south of Cohen are dismantled. 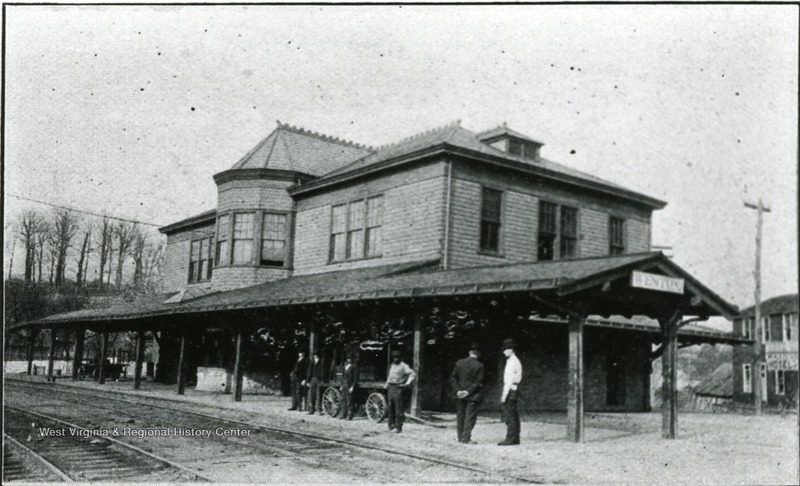 An early view of the B&O train station in Lost Creek. Credit: Bruce Washburn; West Virginia University, West Virginia & Regional History Center, Roy Bird Cook Collection. 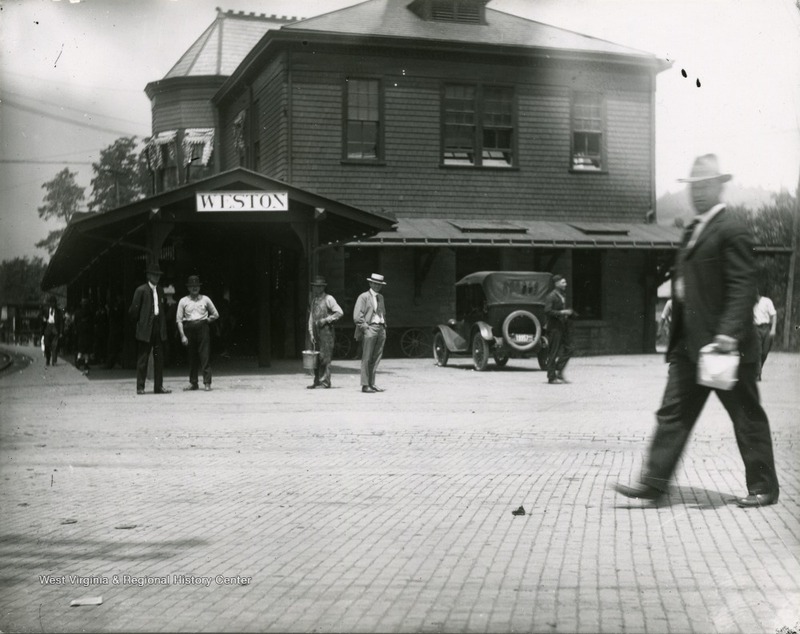 An early view of the B&O train station in Weston. Credit: West Virginia University, West Virginia & Regional History Center, Roy Bird Cook Collection. 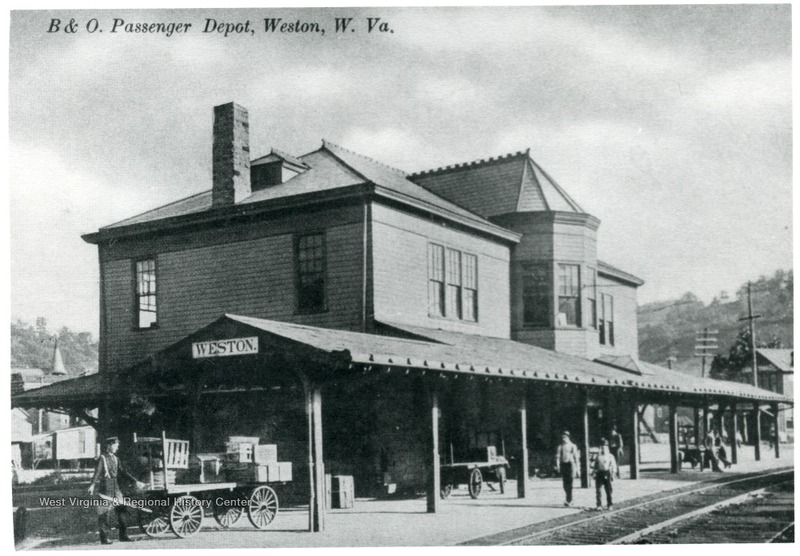 An early view of the B&O train station in Weston. Credit: West Virginia University, West Virginia & Regional History Center. 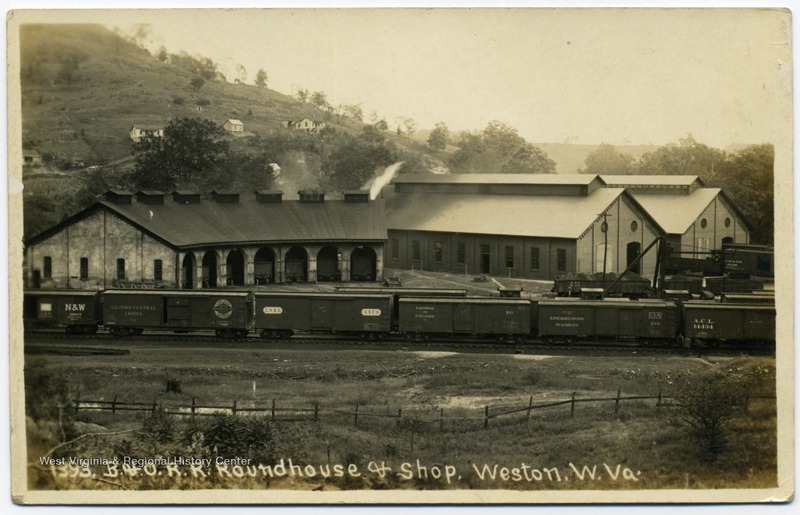 A view of the roundhouse and shops in Weston in September 1910. Credit: West Virginia University, West Virginia & Regional History Center. A view of the roundhouse and shops in Weston in September 1910. Credit: G.G. 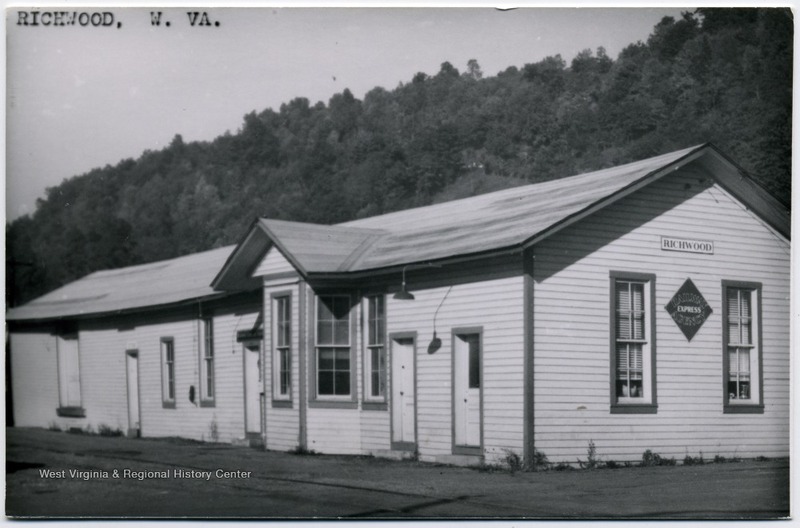 Broadwater; West Virginia University, West Virginia & Regional History Center. 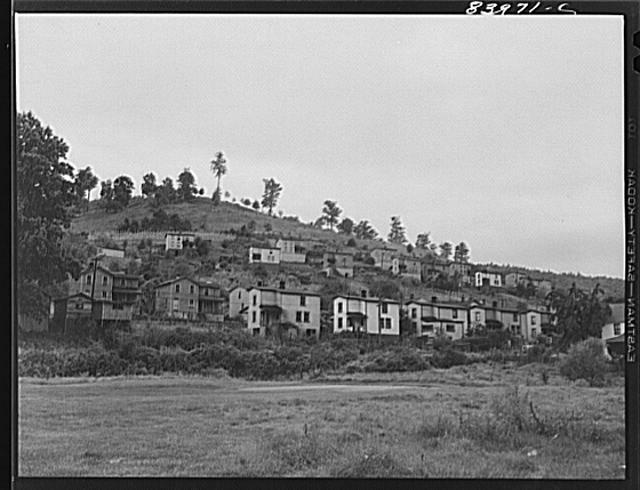 Richwood in September 1942. Credit: John Collier, Jr. Farm Security Administration – Office of War Information Photograph Collection (Library of Congress). 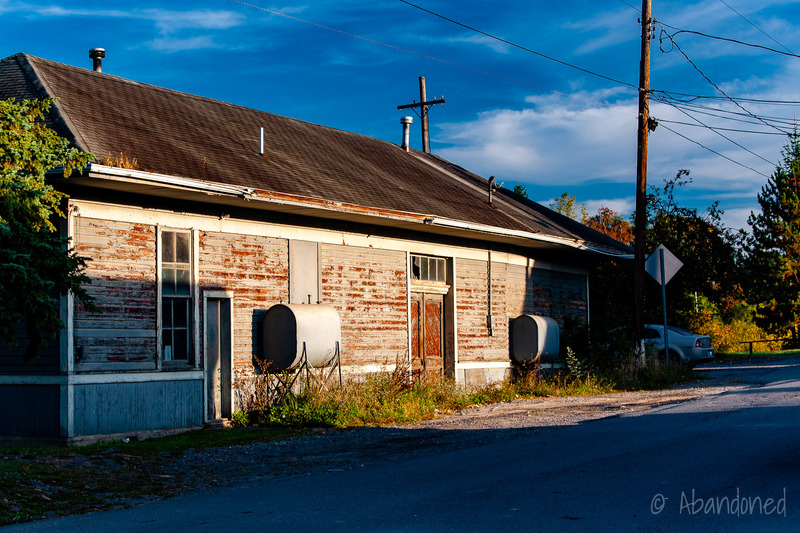 A view of the Richwood Train Station. Credit: West Virginia University, West Virginia & Regional History Center. 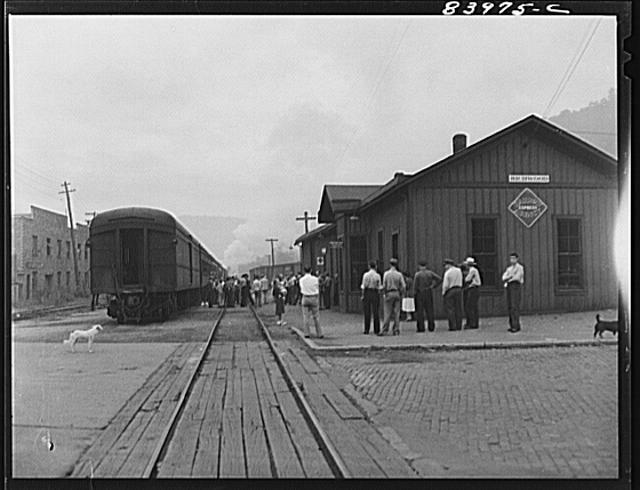 A view of the B&O in Richwood in September 1942. Credit: John Collier, Jr. Farm Security Administration – Office of War Information Photograph Collection (Library of Congress). “A&O Railroad.” Appalachian and Ohio Railroad, 2006. Article. 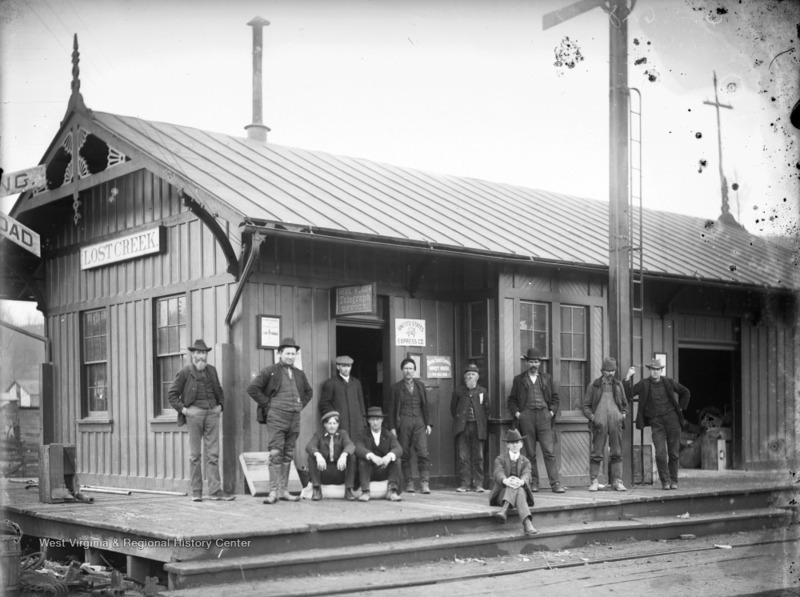 “Richwood Branch – B&O RR.” West Virginia Railroads, Past and Present, 13 Jun. 2012. Article. “West Virginia & Pittsburgh Railroad.” West Virginia Railroads, Past and Present, 28 May 2015. Article. 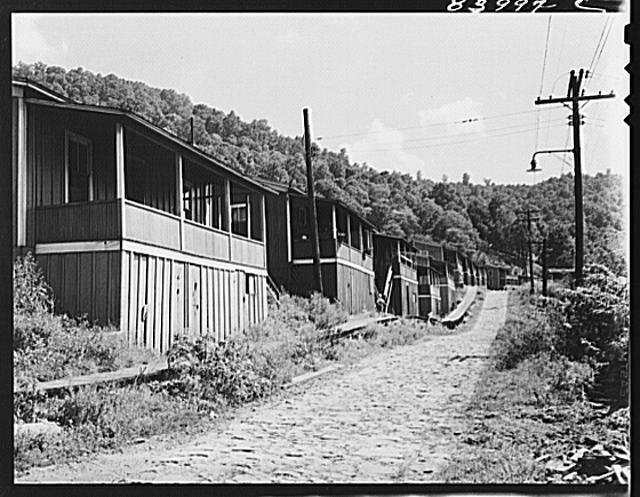 “Richwood, West Virginia.” West Virginia, Cyclopedia, 17 Jun. 2012. Article. City of Richwood Comprehensive Plan. 2016, West Virginia University Land Use & Sustainable Development Law Clinic. Article. Gioulis, Michael. Downtown Richwood Historic District. National Park Service, 2001. Article. Kirkman, Kenney. “Here and There.” Turntable Times, Apr. 1998, pp. 1–2. Robie, Dan. 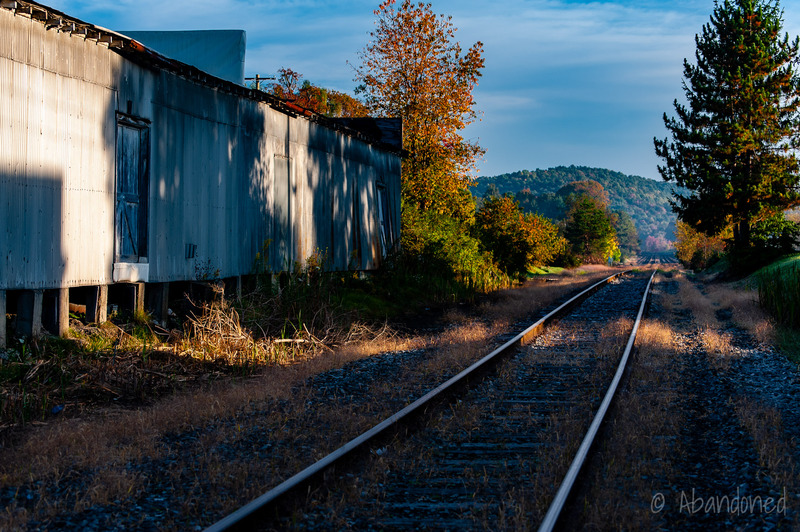 “Parkersburg to Clarksburg–Waist of the B&O Main part II.” WVNC Rails. Article. 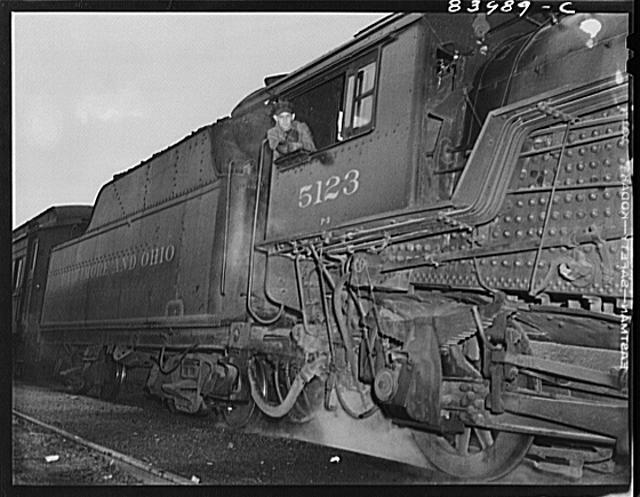 “Baltimore and Ohio Rail Road.” La Belle Woodworking. Article. Nesbitt, Becky and Jeff Wyne. Lost Creek Baltimore and Ohio Railroad Depot. National Park Service, 2004. Article. Chris. “Weston, W Virginia.” Trainorders.com, 1 Dec. 2002. Forum. City of Weston Comprehensive Plan. 2014, West Virginia University Land Use & Sustainable Development Law Clinic. Article. Poggie, John J., et al., editors. “The Lost Setting: Roanoke, West Virginia.” Anthropological Research: Process and Application, State University of New York Press, 1992, p. 234. Rice, Donald L. “Coal & Coke Railway.” e-WV: The West Virginia Encyclopedia, 30 Jan. 2012. Article.